Salvagnos provides event design services for weddings and events. We create the event you want-designed around your dreams The process begins with a complimentary initial event consultation. Whether you're in need of a full event design, floral décor, specialty event rentals, or just a little direction, we're happy to help you along your way. Salvagnos has over 15 years experience creating exceptional designs for weddings and events. 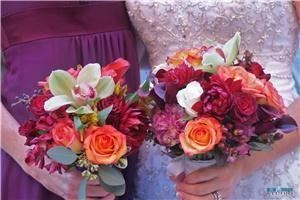 Contact us today to find out how we can assist you with the event design and floral design for your upcoming wedding or special event.